It looks like Champions has lost after all. TVLine reports the NBC TV show has not found another network for a possible second season and will remain cancelled. As reported earlier, NBC cancelled the comedy after only season this past June. The series centers on Vince (Anders Holm), a former basketball star who now runs a Brooklyn-based gym and must look after his theater-loving teenage son. The cast also includes Andy Favreau, J.J. Totah, Fortune Feimster, Ginger Gonzaga, Mouzam Makkar, Yassir Lester, Robert Costanzo, and Mindy Kaling. Per TVLine, Champions has failed to find a second home after being cancelled by NBC. For now, it seems the comedy will stay cancelled. What do you think? Have you seen Champions? Do you think it deserved a second season? 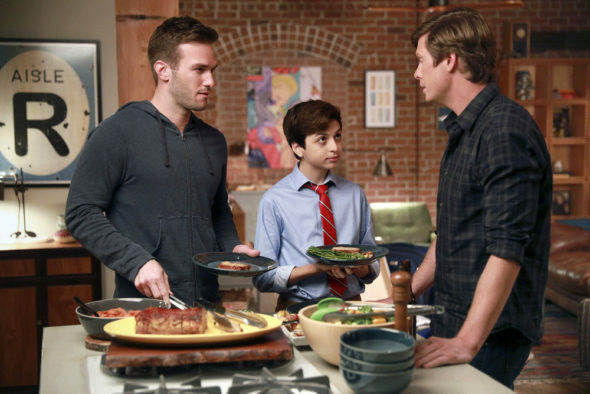 More about: Champions, Champions: canceled or renewed?, NBC TV shows: canceled or renewed? Champions: Is the NBC TV Series Cancelled or Renewed for Season Two? Networks will continuously bring back or TV shows 25 years old, but not put on shows like this again after only one season, we are in the age of dark with networks no longer creating shows but re-creating old dusty ones! You are absolutely right. The networks are lazy and have lost their creativity. Nothing but recycled shows and story lines.